At the beginning of a new year, we often envision a new, better course for our lives, and what better way to start charting our course than by checking a compass? It not only reveals the direction we’re traveling, but also helps guide us to make the necessary adjustments to get where we want to be. 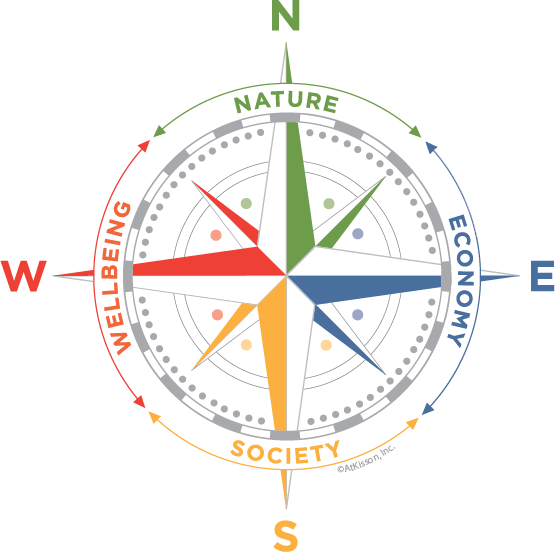 The Sustainability Compass is an effective guide to living in a socially responsible, environmentally respectful manner. Tiger Dining’s Auburn Foods initiative offers you the opportunity to make more informed, sustainable choices when dining on campus. This Spring, you’ll notice the Auburn Foods logo throughout campus, along with slogans like “Keep your friends close, and your food closer,” and “Stay Fresh, Live Healthy, Buy Local” but what exactly does this mean? And how does this relate to Sustainability? Look for the Auburn Foods logo at venues around campus. Auburn Foods products are locally grown and sustainably produced – many of these items are grown right on our campus. So not only are you eating the freshest, most flavorful food possible, you’re also providing research and learning opportunities for your fellow Auburn students. Taste the freshness when you enjoy an 844-Burger. The “844” is the Auburn University telephone prefix, and just like the phone prefix, these cows are found only on Auburn’s campus. If you’re lightening up your food intake this year, try the fish tacos at API Trading Company. The tilapia has been grown at the EW Shell Fisheries Center on North College St and is served within 72 hours of being harvested – fresh, nutritious, and flavorful! 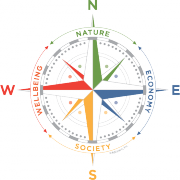 Auburn Foods products provide the opportunity to participate in all “directions” of the Sustainability Compass. N = Nature. These foods are produced or grown locally and handled responsibly to ensure maximum nutrition, freshness, and flavor. Research being conducted on campus may lead to replicable systems that can be used in urban areas or food deserts to provide a diet complete with both fresh vegetables and proteins. E = Economy. Purchasing Auburn Foods items supports local farmers as well as your fellow students, providing fuel for our local economy in the form of food, funds, and farm support. S = Society. Sourcing foods locally enhances our sense of community as well as providing strength and nourishment to our neighborhoods. W = personal Wellbeing. In January 2015, the Nielsen Group published the results of a global health and wellness survey Nielsen Group Health and Wellness Survey. The survey revealed that “Consumers seek fresh, natural and minimally processed foods. Beneficial ingredients that help fight disease and promote good health are also important.” There’s no question that whole foods, fresh foods that are minimally processed, make a significant impact on your health and wellbeing. So get your bearings and set your course for a fresh, flavorful year with Auburn Foods. Watch for this symbol throughout campus and ensure you’re heading toward a fresh, healthy, wholesome year. Is Auburn doing food recovery and composting their food waste from campus facilities? Auburn University works with the Auburn Chapter of Campus Kitchens Project in food recovery. They repackage unserved food and deliver it to food insecure individuals in the community. There was a composting pilot this past fall in one of the dining facilities of the waste from the back of the house.